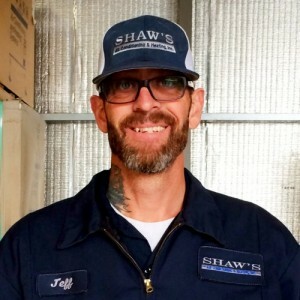 * Total number of reviews and star-ratings are based on data collected during the time period Shaw's Air Conditioning & Heating, Inc. has been using the ReviewBuzz system and may not directly match the data found on each public review site. Brent arrived early which I appreciated. He is very polite & friendly! He cares about doing a great job! He explained everything he did so I could understand why ! He is very professional & l would recommend him to anyone! Job well done!! The only thing is that when I called, I inquired about dryer vent cleaning and was told I would get a call back from the lady that I spoke with but never received a call. I forgot to ask Jeff about it when he was here. Besides that, Jeff got to work on the AC right away and got done quickly, even after, replacing a part. I feel bad that he was working while it was sprinkling rain outside but he didn't complain and was extremely nice about it. I'm always afraid I'll get someone with an attitude, but Jeff was polite, nice and took the time to explain what was going on. 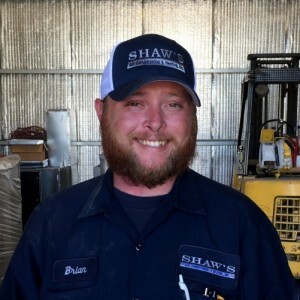 I really appreciate the expertise and courteous manner shown by my technician~Brent F. He made sure to explain everything he was going to do and came back to update us when finished. He made sure we understood everything. I would want him to be our guy every time ! Thank you, Brent! Great service. Jeff was awesome and was able to take care of everything pretty fast. Would definitely use them again. Martin and Jeff fixed an issue I had with my heating system; they went above and beyond to fix the issue. They are outstanding professionals who are experts in the field of air conditioning and heating. Have been with company for about 8 years. My 14 year AC unit was starting to need costly repairs. Decided to get a new unit. Jeff came & explained the prices & finance options. Was qualified for the 60 months interest free option. The workers started at 830am & by 230pm the work was completed. They did a great job. When they were done & before they left they asked if I had any questions. Would highly recommended Shaws Air. Thank you responding so quickly. Great work and friendly staff. Angel was professional and friendly, thank you. Shaw's has always been very friendly and professional. The last person we had helping us, Angel, was excellent and provided great customer service. Thank you. Brent at Shaw’s Air came and served my AC unit this morning. He is so courteous as are all of Shaw’s guys. 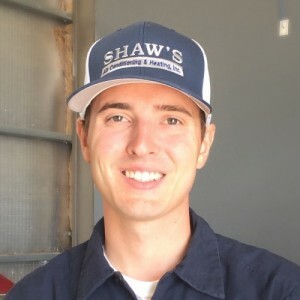 If you want great service call Shaw’s Air. Thank you so much for your continued excellent service. No complaints at all. Very professional and experienced. Brian a true expert. Jeff R. has always treated my home with the utmost care and I would definitely recommend him. I have the annual service package and they always do a great job starting with scheduling all the way through the actual service and cost. Timely.Friendly. a Always checking to be sure everything is ok. Explained everything that was done and what the problem was. Love their preferred maintenance plan. 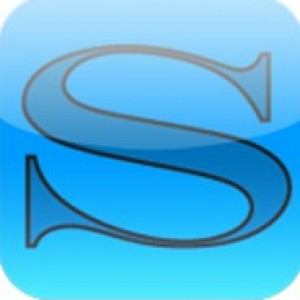 Always the best customer service and treatment!!! Highly recommend not only for heating A/C service but for solar panel cleaning as well! 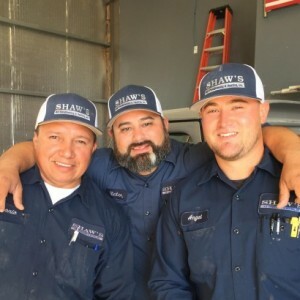 Customer service is always a top priority at Shaw's Air Conditioning & Heating, Inc.. Our BBB Membership rating is like a badge of honor as we continuously strive to provide the best experience for our clients.